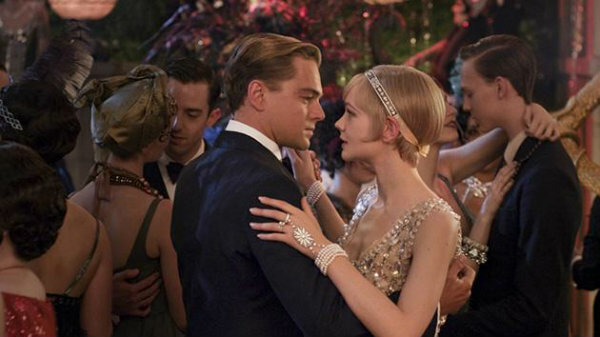 I don’t care what else you’ve read about Baz Luhrmann’s adaptation of The Great Gatsby – it’s glorious. It’s so visually spectacular and engrossing that the two and a half hour running time feels like it's nothing at all. Unlike the months and months and months that I've been waiting for this movie - but hand on heart, it did not disappoint. 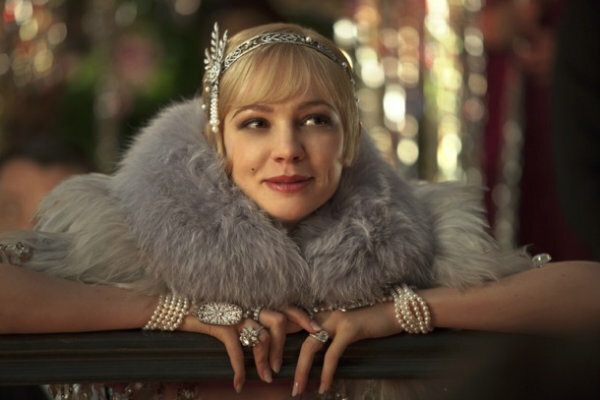 Carey Mulligan’s Daisy is vulnerable and enchanting - and Carey makes the leap here from cute to full-on beauty. Tobey Maguire's Nick is the most relatable character of all; the whole story is seen through his eyes, as he looks back from the other side of that summer. But Leonardo steals the show. He is insanely brilliant in this film – and I wouldn’t have classed myself as a fan. But between this and Django Unchained, it’s clear he’s in his acting prime. I was about 13 when I saw the Robert Redford version, and it left me deeply confused and conflicted. This interpretation of F Scott Fitzgerald’s Jazz Age classic is much more clearcut. Some might say it lacks subtlety – I say it's less hazy, and more defined. It’s a love story, and it’s exciting and beautiful and tragic in equal parts. It's not the same as the book, of course, because the book relies on Fitzgerald's nuanced prose. But I don't see why you can't love both. 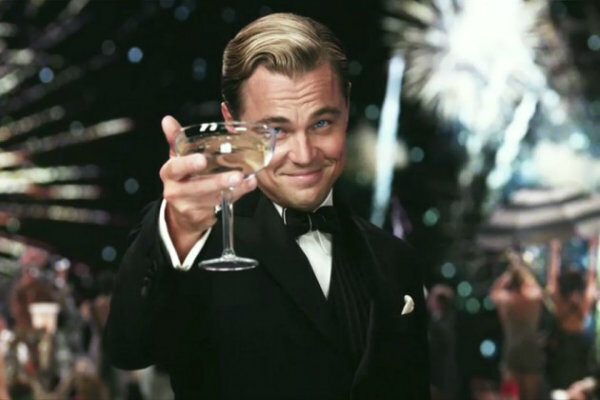 This version is as glorious and excessive and riotously intense as I imagine the Jazz Age might have been – if you were exceptionally wealthy, or perhaps one of Fitzgerald’s and Hemingway’s hard-drinking literary crew. I had goose pimples throughout, and I sobbed like a baby for the last half hour. Jay-Z's soundtrack is inspired, the 3D flourishes are gorgeous and the fashion…oh, the fashion. It’s divine. It’s perfection. It's Prada and Brooks Brothers. It’s something you really have to go and see, and the bigger the screen, the better. It was never going to be easy to remake a classic, but I think Luhrmann absolutely did it justice. It felt…epic. I think Fitzgerald would approve – and I’d love to know if you agree. It's amazing - tell me what you think! Can't wait to see this, it looks gorgeous. I really want to see it, for the clothes alone!!! On that years there was classy and fantastic style !! I'm going to see it this weekend! The weather was so bad last weekend that I couldn't go. hahaha I've heard nothing but great reviews. Thanks Emma! I'm waiting til after I see it to read your review Emma, but I really can't wait! I was so obsessed with Moulin Rouge and Romeo and Juliet, dying to see it!! It looks to be a veritable visual feast. I might go watch it this weekend. I will watch in on Sunday! I actually cannot wait to see this! It's one of my all time favourite books and I adore Baz Luhrmans work so it's all looking positive for me! You have truly enticed me to watch the movie now with this optimistic review! I'm so waiting for it to come out in Italy too!!! I waited months for this, (like since Christmas!) like you Emma, and I have to say I was disappointed. I just felt that they left out some key lines from the book which were important to the story. My expectations were probably heightened because its Baz Luhrmann though! I loved Leo in it and Carey, both very good performances. Going to see it tomorrow, excitement! I'm ashamed to admit I've never read the book, and I promised myself I would do that first before seeing the film. But I can't wait to see it... and I've only heard good things. Great post...now waiting to watch it !! Yes, I saw this movie and loved it. Baz did a great job. I've really wanted to watch this. My hubby's read the book and is dead against watching films that are mad from books. Definitely popping in to watch this with my BFF! Oh I can't wait to see this! Thanks for the great review.